Like new, completely renovated in 2017, this four bedroom home has been completely transformed to today’s standards. There are three bedrooms, two full baths and a perfectly situated office on the bedroom level. One bedroom/den, full bath, living room, kitchen and dining area complete the main level. 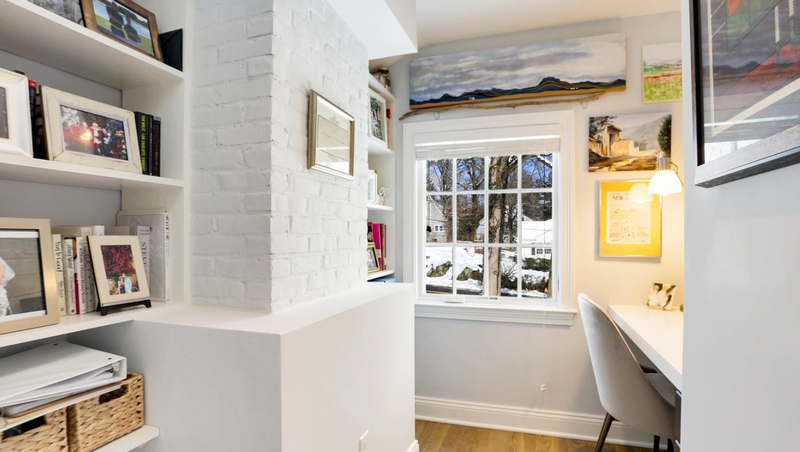 The lower level features a mudroom/laundry room with original cast iron sink and garage access. Enjoy amenities such as Carrara marble, quartz countertops, brand new stainless steel appliances, hard wood floors, no maintenance Hardy Plank siding, new plumbing, electric, and HVAC. Smart home features include Nest Thermostats, Ring doorbell and cameras, security and garage all controlled by your smartphone. Sought after schools, Dundee Elementary and Eastern Middle. Walk to Binney Park, Old Greenwich train and village. Not to miss! OPEN HOUSE at Cob Cottage, Sunday, November 4, from 2:00pm to 4:00pm, 10 Mianus View Terrace in Cos Cob. Take Valley Road to Mianus View Terrace.